Our goal at Blum Oral Facial Surgery Associates is to provide you with the best treatment and most advanced services available in oral surgery today. That is why we have partnered with StemSave to offer this cutting-edge service to you. The treatment possibilities with stem cells are significant, and more applications for these are currently being researched. Best of all, your Stem Cells can be saved during a routine extraction in our office, with no additional preparation or additional time. All you have to do is set up the procedure with StemSave through our office. 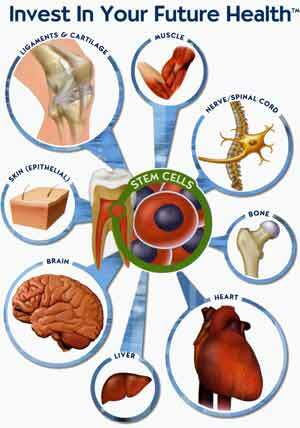 Below you will find more information about Stem Cells, their potetial use and their harvesting through our office. If you have any further questions, please feel free to contact our office at (305) 538-4556 or visit StemSave at the link below. Miami Beach/September 20th, 2009: Blum Oral-Facial Surgery Associates has teamed up with StemSave™, Inc., the market leader in the field of stem cell recovery and cryo-preservation, to enable patients to recover and save very powerful stem cells found in teeth. The recent discovery that stem cells exist in teeth has the potential to transform dentistry and the future of medical treatments. 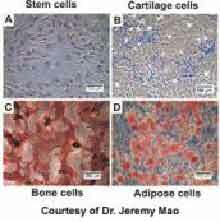 Stem cells are the basis for the emerging field of Regenerative Medicine. Today, hospitals are utilizing stem cells to treat leukemia and heart failure and are transplanting organs grown from a patient’s own stem cells. There are more than 78 clinical trials involving stem cell treatments underway and the US Military is developing stem cell therapies to treat soldiers wounded in action. The current research being conducted suggests that stem cell therapies will be able to treat many of today’s most difficult diseases, such as diabetes, Parkinson’s, Alzheimer’s, muscular dystrophy, cancer and many more. “As an oral surgeon it is truly remarkable that I can offer my patients a potential life-saving procedure by simply preserving teeth that would otherwise be discarded,” said Dr. Jeffrey Blum. StemSave’s patented technology turns routine trips to the oral surgeon into potentially live-saving experiences. In particular, children and young adults should consider banking their stem cells while undergoing procedures such as the extraction of wisdom teeth or baby teeth. These planned dental procedures provide an ideal time to preserve one’s stem cells. “We are thrilled to partner with Dr. Blum, to make harvesting stem cells from teeth easy and affordable, this way everyone can benefit from the powerful medical applications of stem cells,” said Dr. Gregory Chotkowski, Oral Surgeon and president of StemSave. StemSave is a collaborative effort between stem cell researchers and the dental community to provide families, and individuals an affordable, non-invasive methodology for the recovery and cryopreservation of the powerful and valuable adult stem cells residing within baby teeth, wisdom teeth, permanent teeth for future use in personalized medicine and regenerative medical therapies.